We want to get ethical, nutrient-dense food to our community and we also understand that people need some sort of convenience in this busy world we live in. We have come up with a ‘Food Club’. 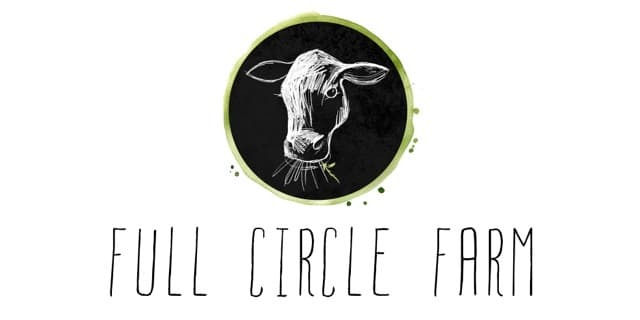 Full Circle Farm will deliver to a Club ‘host’ once a fortnight. This host will accommodate friends, neighbours, or other people in their immediate community, to pick up products we have grown on the farm. This allows people to access farm-to-plate food and is a great way to build community; developing meaningful relationships, centered around ethical food. Our club locations are: Jilliby (Wednesdays 5pm), Tumbi Umbi (Wednesdays 4pm), Long Jetty (Wednesdays 5pm), Toukley (Wednesdays 6pm), Cooranbong (Wednesdays 7pm), Erina (Tuesdays 4pm), Wamberal (Tuesdays 5pm), Avoca (Tuesdays 6pm), Umina (Tuesdays 7pm), Ourimbah (Mondays 3pm), Frenchs Forest (Sundays 3pm), Berowra (Sundays 1pm), Emu Plains (Sundays 5pm) and Wahroonga (Sundays 2pm). Drops are FORTNIGHTLY (except Wahroonga, Berowra, Frenchs Forest and Emu Plains which are monthly). Your drop time will be for a 30 minute period (example 4:00pm-4:30pm). You will get a reminder text message in the morning. Life gets busy and reminders are handy! The drop point will only commence and remain operational with 5 or more customers, so tell your friends! It is a ‘bring your own bag’ arrangement. We will have farm tours throughout the season so you can have ultimate connection to your food and how it is raised. We do not seek any certifications for our produce; instead we adhere to 100% transparency on how we farm. Come and see what we do, meet us, have a cuppa and experience connection to a local farm and farmer. NO ORDERING- JUST ROCK UP! We no longer have an ordering system. You simply turn up and buy what you want… just like a farmers market. Payments are made on the day via card or cash. We plan to have consistency with our regular produce, but we are working with animals and nature so things have the chance of losing predictability from time to time. The only item you will need to pre-order is the seasonal veg boxes. Send us an email/message to reserve a box for any particular week. We have a reasonably consistent supply of chicken, beef and eggs, with seasonal veg boxes (pre-order only), organic avocados and sweet potato available at certain times of the year. We produce pasture-raised eggs. These eggs are worlds apart from the industry labelled ‘free range,’ which can be up to 10,000 birds per hectare (basically a dust bowl where most of the birds stay in the sheds anyway). Our hens are on grass ALL DAY, EVERY DAY!! They are moved regularly onto fresh pasture, promoting optimal animal and land health. This means a superior egg with nutritional components off the charts! We produce pasture-raised meat chickens. No chemicals, no growth hormones, no antibiotics, no disgusting chicken sheds; just clean air, grass, bugs, and their ration of local grains. The meat chickens will be delivered mostly fresh straight from our coolroom (in rare times we may need to deliver frozen depending on logistics). We process fortnightly so the chicken will be super fresh! We have seasonal grass-fed and finished beef available. We sell bulk boxes for a discounted amount of $21/kg, and also individual cuts including steaks, roasts, sausages and mince. This is slow-grown, holistically-managed, chemical-free, ethical beef that you simply cannot buy in any store. The animals are 2.5-3 years old, double the age of standard supermarket beef which means double the flavour and jam packed with extra nutrients. We process monthly so the beef will be chilled one of the fortnights, frozen the other. Depending on the time of the year, we will have organic avocados, sweet potato and mixed veg boxes. Grown by farmers we know and trust. Zero chemicals, so fresh, so good! Interested in joining a club in your area? Fill out the details below and you’ll start receiving text reminders for your preferred club.The texts will have the address and all other necessary details on it. Thank you for supporting local farms and ethical food!